What is the new HEIF image file format about? A new image file format has started to surface over the last few years but it is based on a different approach to storing image files. This file format, known as the HEIF or High Efficiency Image Format, is designed and managed by the MPEG group who have defined a lot of commonly-used video formats. 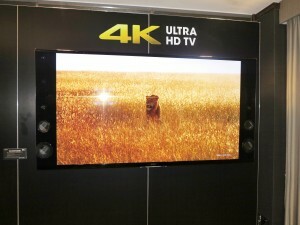 It is being seen by some as the “still-image version of HEVC” with HEVC being the video codec used for 4K UHDTV video files. But it uses HEVC as the preferred codec for image files and will provide support for newer and better image codecs, including newer codecs offering lossless image compression in a similar vein to what FLAC offers for audio files. Unlike JPEG and the other image files that have existed before it, HEIF is seen as a “container file” for multiple image and other objects rather than just one image file and some associated metadata. 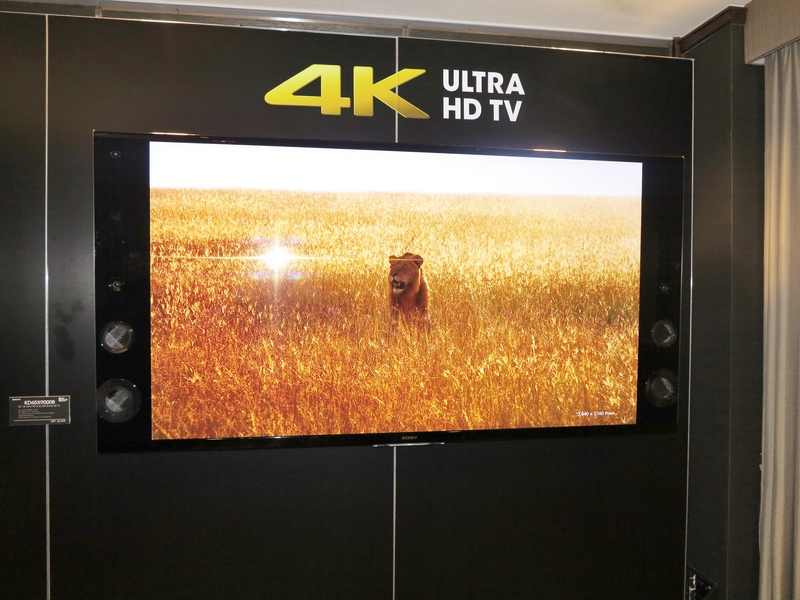 As well, the HEIF file format and the HEVC codec are designed to take advantage of today’s powerful computing hardware integrated in our devices. fically for collections of still images. It is not really about replacing one of the video container file formats like MP4 or MKV which are specifically used primarily for video footage. 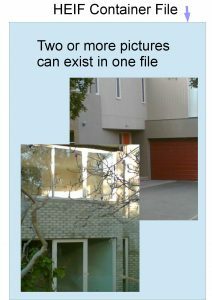 One HEIF file could contain a collection of image files such as “mapping images” to improve image playback in certain situations. It can also contain the images taken during a “burst” shot where the camera takes a rapid sequence of images. This can also apply with image bracketing where you take a sequence of shots at different exposure, focus or other camera settings to identify an ideal image setup or create an advanced composite photograph. This leads to HEIF dumping GIF as the carrier for animated images that are often provided on the Web. Here, you could use software to identify a sequence of images to be played like a video, including having them repeat in a loop thanks to the addition of in-file metadata. This emulates what the Apple Live Photos function was about with iOS and can allow users to create high-quality animations, cinemagraphs (still photos with a small discreet looping animation) or slide-shows in the one HEIF file. There is also the ability to store non-image objects like text, audio or video in an HEIF file along with the images which can lead to a lot of things. For example, you could set a smartphone to take a still and short video clip at the same time like with Apple Live Photos or you could have images with text or audio notes. On the other hand, you could attach “stamps”, text and emoji to a series of photos that will be sent as an email or message like what is often done with the “stories” features in some of the social networks. In some ways it could be seen as a way to package vector-graphics images with a “compatibility” or “preview” bitmap image. The HEIF format will also support non-destructive metadata-based editing where this editing is carried out using metadata that describes rectangular crops or image rotations. This is so you could revise an edit at a later time or obtain another edit from the same master image. It also leads to the use of “derived images” which are the results of one of these edits or image compositions like an HDR or stitched-together panorama image. These can be generated at the time the file is opened or can be created by the editing or image management software and inserted in the HEIF file with the original images. Such a concept could also extend to the rendering and creation of a video object that is inserted in the HEIF file. Here, having a derived image or video inserted in the HEIF file can benefit situations where the playback or server setup doesn’t have enough computing power to create an edit or composition of acceptable quality in an acceptable timeframe. Similarly, it could answer situations where the software used either at the production/editing, serving or playback devices does a superlative job of rendering the edits or compositions. The file format even provides alternative viewing options for the same resource. 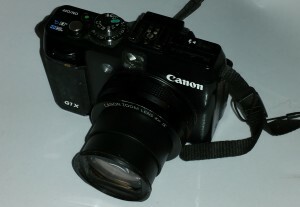 For example, a user could see a wide-angle panorama image based on a series of shots as either a wide-aspect-ration image or a looping video sequence representing the camera panning across the scene. What kind of support exists for the HEIF format? At the moment, Apple’s iOS 11, tvOS 11 (Apple TV) and MacOS High Sierra provide native support for the HEIF format. The new iPhone and iPad provide hardware-level support for the HEVC codec that is part of this format and the iOS 11 platform along with the iCloud service provides inherent exporting of these images for email and other services not implementing this format. Microsoft is intending to integrate HEIF in to Windows 10 from the Spring Creators Update onwards. As well, Google is intending to bake it in to the “P” version of Android which is their next feature version of that mobile platform. As for dedicated devices like digital cameras, TVs and printers; there isn’t any native support for HEIF due to it being a relatively new image format. But most likely this will come about through newer devices or devices acquiring newer software. Let’s not forget that newer image player and editing / management software that is continually maintained will be able to work with these files. The various online services like Dropbox, Apple iCloud or Facebook are or will be offering differing levels of HEIF image-file support the the evolution of their platform. Depending on the service, this will be to hold the files “as-is” or to export and display them in a “best-case” format. There will be some compatibility issues with hardware and software that doesn’t support this format. This may be rectified with operating systems, image editing / management software or online services that offer HEIF file-conversion abilities. Such software will need to export particular images or derivative images in an HEIF file as a JPEG image for stills or a GIF, MP4 or QuickTime MOV file for timed sequences, animations and similar material. In the context of DLNA-based media servers, it may be about a similar approach to an online service where the media server has to be able to export original or derived images from one of these files held on a NAS as a JPEG still image or a GIF or MP4 video file where appropriate. As the container-based HEIF image format comes on to the scene as the possible replacement for JPEG and GIF image files, it could be about an image file format that shows promise for both the snapshooter or the advanced photographer. 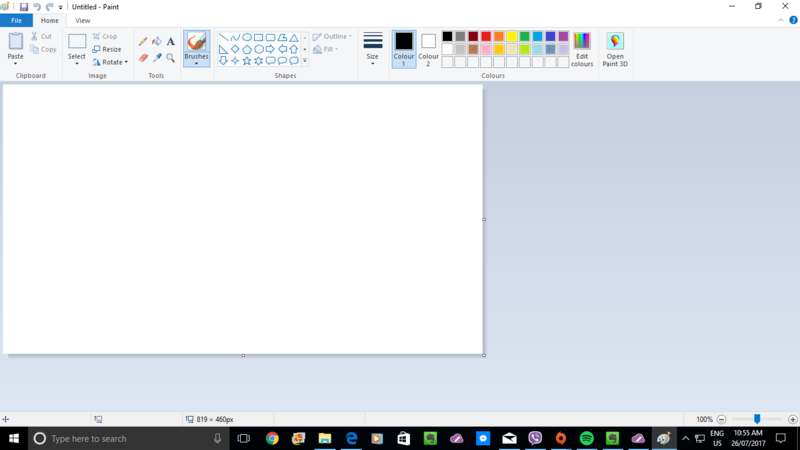 Recently the computer press has been awash with articles that Microsoft was killing the Paint app that always came with Windows since 1.0 . 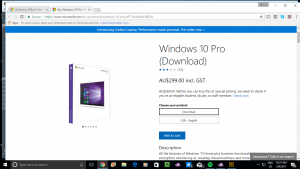 But they are keeping it available for Windows users to continue working with by allowing them to download it for free from the Windows Store. 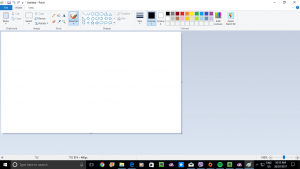 The Paint app was simply a basic bitmap-driven graphics editor that allowed users to get used to using a mouse for creating computer graphics. It was based on ZSoft’s PC Paintbrush which was the PC’s answer to the various baseline graphics editors that came with every mouse-driven graphical user interface since 1984 when that kind of computing came on board with the Apple Macintosh. This app ended up being the answer for any basic computer-graphics work at home or in the office, whether it be children creating computer drawings through to designers creating rough prototypical images of what they are designing in the office. I have infact used Paint as part of creating screenshots for this Website by editing the various screenshots whether to redact private information or to call out particular menu options that I am talking about in the accompanying article. This was thanks to an easier learning curve that this software implemented from Day 1. A common fear that I would have expressed in relation to the press coverage about Microsoft abandoning or paying less attention to Paint and other bundled or cost-effective graphics tools (remember PhotoDraw?) is that they could end up stripping down their application-software portfolio of titles seen to be less valuable. Then they would just focus their efforts on the popular premium business software like the “Office” essentials such as Word, Excel and PowerPoint. At least those of you who buy a computer with Windows 10 Fall (Autumn) Creators Update in situ don’t have to miss that basic Paint app because it’s not delivered “out of the box”. Rather they can raid the Windows Store and find this app. But could this be the path for evergreen software that was always distributed for free as a standalone package or with operating systems like graphics or sound editors by the major operating-system vendors? An issue that may face a games developer who wants to work the independent path is how they can put the game on the map as far as the public is concerned. For some developers, the importance is about avoiding heading to the “Hollywood of electronic games” where computer games become very similar in quality to the Hollywood blockbuster movies or popular American network and cable TV shows which ends up with the same-old content amid questionable ethics. 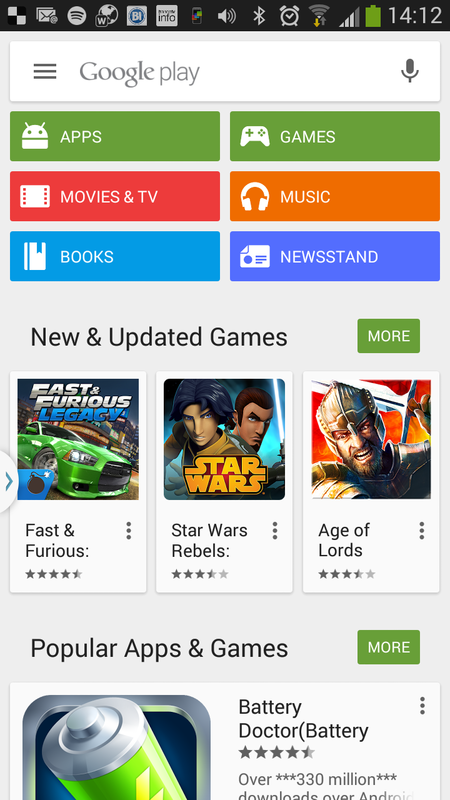 One way would be to put the games on one or more platform-specific app stores like the iTunes App Store, Google Play or Microsoft Store. 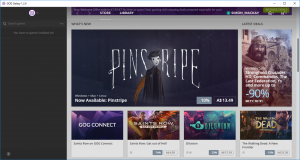 On the other hand, if the game is to be targeted at regular computers, it may be about offering the games to indie-focused software markets like GOG Galaxy or the upcoming Jump subscription-driven market. 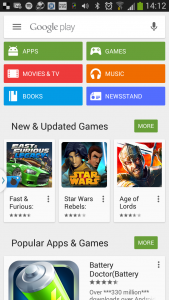 But Google has taken a process similar to a mainstream full-line music outlet running and promoting an “indie” genre. Here, they are running the “Indie Games Festival” in San Francisco to draw out indie games developers and have them offer the Android platform the best software they can provide. What I see of this is it is a way to stimulate the indie games market especially courting those developers that are writing for mobile platforms. I even see the Microsoft Store in a better position to court the indie games developer who doesn’t mind going down the second path by encouraging them to develop games for the Windows platform and the XBox One console in a “write-once” approach. Here, they could take a similar approach to Google by running a dedicated festival for indie games developers who want to approach regular-computer and games-console platforms. 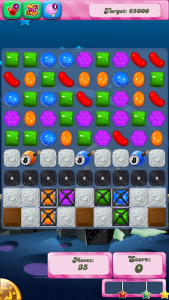 At the moment, when it comes to the games for the regular computer, being able to use a dedicated indie-game market or using an established games market like Microsoft Store, iTunes Mac App Store or Steam are the viable games options. But when it comes to targeting other devices like mobile devices, games consoles or set-top devices, the only way would be to use the platform-specific app stores and unless the platform encourages quality independent software development, these will be very limiting for the indie games developer. There still needs to be interest in and support for the indie games market from many app stores and games markets so that electronic gaming is an environment for high-quality electronic games that appeal to all people. An increasing trend for regular-computer and mobile operating systems is for them to be updated on a regular basis along the model of “software-as-a-service”. With this model, the companies behind these operating systems will typically license the operating system with new hardware, but not require the user to pay to acquire newly-developed functionality. It is in conjunction with making sure that all bugs and security exploits are removed from the system. A problem that has been found with this method of delivery is that it can be easy to over-promise and under-deliver as what Microsoft commonly does. This has shown up more so with the Fall Creator’s Update of Windows 10 where Microsoft removed Windows Timeline and Cloud-Powered Clipboard, two highly-promised features, from the feature list for that update. What is underscored here is the frequency of major updates that add significant amounts of functionality to an operating system, along with calling out the promised improvements for these updates. Apple and Google implement a yearly cycle when it comes to delivering major operating-system updates that are about adding extra features while Microsoft undertakes this on a six-monthly basis. The advantage of the long lead-time that Apple and Google run with is that they can deliver on their promises by writing in the code and subjecting it to a long debug and optimisation cycle including delivering it in publicly-available beta-test packages. This is conversant with Microsoft calling out features for a major functionality update and having to have all of them work to expectation by the time the update is considered “feature complete”. But how can Microsoft and others who implement the short lead times for major functionality updates avoid the issue of over-promising? Here they could announce that some features are being destined for the upcoming functionality update while others are being destined for the subsequent update. Similarly, they could deliver the functionality in an “out-of-band” form such as free-to-install apps provided through the platform’s app store, a practice Google is undertaking with the Android platform. In the case of functionality dependent on a particular peripheral class, it may be delivered as part of the onboarding process that the operating system performs when that peripheral is connected for the first time. Personally, I would like to see some effort put towards fine-tuning the peripheral and network interface software code to encourage more “driver-free” peripheral connectivity that occurs in a secure stable manner to the latest specifications for that device class. What is being highlighted here is the risk of over-promising and under-delivering when it comes to delivering major functionality updates for an operating system. 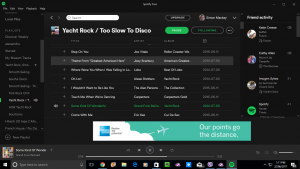 One of the first Windows apps to be ported to the Windows 10 Store as a “Universal Windows Platform” app is Spotify. This port, facilitated with the Centennial “desktop-to-UWP” toolkit, is primarily to have it available for computers running the Windows 10 S variant of the Windows 10 operating system, which can’t accept anything other than what is available at the Windows Store. Another feature that will also be par for the course will be that the Spotify Windows 10 client will be updated through Windows Store rather than always polling Spotify’s servers for software updates. But further versions of this client could exploit Windows 10’s features like using a Live Tile or showing notifications in the Action Center. As well, when Microsoft opens up more relevant API hooks in subsequent major Windows 10 updates that opens up newer functionality, it will be easier for the Spotify developers to take advantage of it. 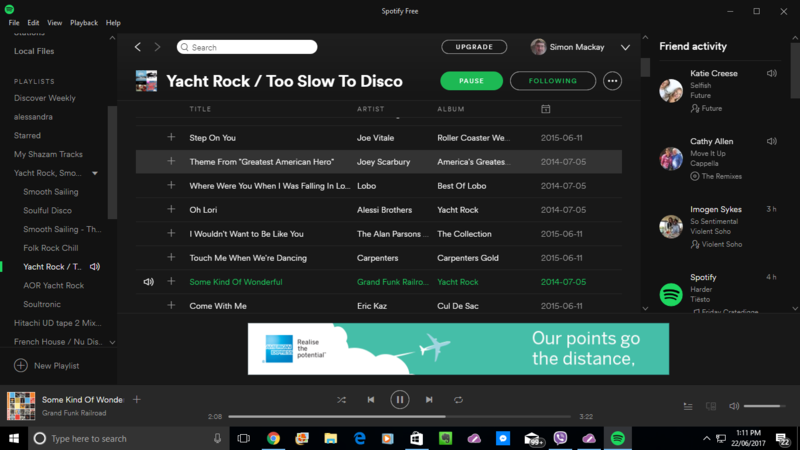 I installed the port on my desktop computer which is running Windows 10 and found that this was a simplified installation routine which carried my Spotify account and other details across. It was really a simplified installation process for a crossgrade from the standalone package that Spotify offered. Some reviewers had criticised some other Windows Store ports of existing Windows programs due to them enforcing the installation of the new software alongside the extant software or requiring the user to re-establish themselves with the services the software was a part of. But they appreciated the “one-touch” deployment process when drawing it down from the Windows Store whether this was a new installation or to upgrade the existing client. What is being called out by Spotify is how a software developer can make a program available via the Microsoft Store for Windows 10 computers but cater to those users who have an existing desktop version of the program but want to take advantage of the new port. Amazon Alexa is now facing real competition from Microsoft’s Cortana. This is coming about through Microsoft making it easy for device manufacturers to add the Cortana voice-driven personal assistant to their designs, including allowing vehicle builders to integrate her in to their vehicles’ infotainment systems. Harman-Kardon, now part of Samsung, have premiered the Invoke smart speaker which is driven by Cortana while HP and Intel have registered interest in building Cortana-driven devices. Even BMW and Nissan have registered interest in integrating Cortana in their vehicles’ infotainment systems, most likely something that will be offered as an option. The Creators Update build of Windows 10 IoT Core edition will have integrated Cortana support, but Microsoft has released the Cortana Devices SDK to make it feasible to have Cortana on more devices from other device manufacturers. It is also worth knowing that this functionality also extends to providing Skype IP telephony support to these devices, placing Cortana and Alexa on an even footing. Microsoft are taking this concept further by making it feasible to “carry” an action between Cortana-equipped devices. The example cited in the press coverage highlighted a situation where an email comes in while you are driving. Here, you could instruct her to read a summary of this email to you or to remind you about it when you log in to your Windows-equipped regular computer at the office so you can read and reply to it there. As well Microsoft have made available a development kit so that online services and Internet-Of-Things vendors can add “skills” to Cortana as they could with Alexa. But these will allow the Skills to run on multiple devices and cater to devices that implement different user interfaces. For example, you could implement a restaurant-recommendations Skill in to Cortana and ask her for a list of local eateries of a particular cuisine kind. In this case, if your device has a screen, you would see a list of these eateries with a name and address while she reads out the names. Or she could simply read out their names in the order of locality and star-rating so you can simply book a table there. Of course, there is the ability for those of us who have created Skills for the Amazon Alexa ecosystem to easily port them to the Cortana ecosystem. 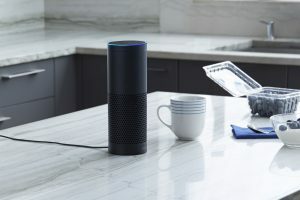 Here, a developer could get things going so that their voice-driven online-service or device interface program can run on both an Amazon Echo or a Cortana-based device. The question that is yet to arise is how Alexa and Cortana will compete with each other on the capabilities, user interfaces, number of Skills, number of devices supporting each platform and other aspects. Increasingly most software is being supplied to users using a form of online delivery, whether through an app store or through a download from the developer’s Website. It is also leading to the process of buying a voucher card to facilitate the download rather than a box of media and documentation when you buy software from a bricks-and-mortar shop. But there are two different approaches to this method of delivery. 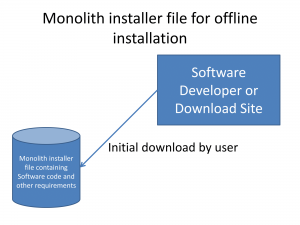 One of these is for the user to download a monolith installer that has all the necessary files to get the program up and running on your computer’s platform. Here, you would download the large file and the installer would “unpack” that large file and put the software components in place then set thing up with the host computer’s operating system so the program runs as expected. This installer resembles the traditional delivery method of supplying computer software where the program was delivered on packaged media to be loaded on the computer. It also is a practice that was used for delivering shareware and other software that was downloaded from a bulletin board or Internet download site. In the latter case, the software was delivered as a “file of files” like a ZIP file which the user expanded using a utility before they ran the software. The other way that is preferred by major software and game vendors when they deliver their major titles is to have the user download and run a lightweight installer which downloads the rest of the software components on an as-needed basis. It appeals to companies who want to establish an end-to-end software-delivery infrastructure, as well as providing the files that the user really needs. This method is also preferred because it allows the software developer to deliver the latest stable version of the software’s files. A problem that I have noticed surfacing with some lightweight installers is that some of them may crash during an installation phase and could, at worst, leave corrupted files on the host computer. This can also happen if the Internet connection becomes sub-par and the download becomes interrupted. There is also the requirement to have the Internet connection alive for the duration of your download which may be a limiting factor for costly Internet connections like mobile broadband. A computer-support job that I had done involved the installation of some Adobe Creative Cloud software on a Mac. The person who owns the computer I am talking about bought this software through a “bricks-and-mortar” retail store but it was delivered as a software voucher which they had to redeem through Adobe’s Website. But the redemption page required us to download and run a lightweight installer to start deploying this software in the Mac. Here, this installer wouldn’t start and would show confusing error messages. But Adobe implemented an alternative path for deploying this software. This was in the form of a “trial pack” that was a monolith installer that carried everything needed for the software to be installed on a Mac but could run either as a trial version or a full package once you supplied the credentials associated with the software voucher that they bought. 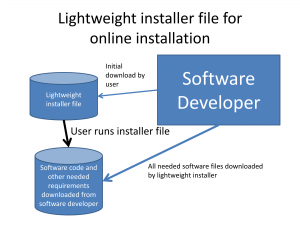 If you are finding that a lightweight installer for that new package has failed to run or the install has malfunctioned, it may be a good idea to look around the software developer’s site for an alternative installation. This may be found in the support section as something like an “offline installer” or, like in Adobe’s case, may be the trial package that “becomes the full version” when you supply the software-voucher or voucher-redemption details like a serial number or activation code. Some if the better-behaved “lightweight-install” setups like Microsoft’s operating systems implement a quality-check process through the install process and are able to “pick up from where they left off”. Here, they can revise the files already downloaded to make sure they are error free while the download any missing or corrupted files. As well, if a download was interrupted, they identify which files have been properly downloaded and which ones haven’t so that they can fetch the remainder of the software package when the connection comes good again. Personally, I would like to see the lightweight installer still exist as a way to deliver an always up-to-date package that represents your needs, along with one or more monolith packages representing popular packages for offline deployment or as a failover measure. As well, lightweight installers could offer an option to “start from the beginning” during the download phase for whenever you are dealing with bad downloads and you want to be sure of a good download process. Some of you may be exploiting Dropbox as a media pool for the various special occasions in your family’s or friends’ life. This is because of the ability to share photos at best quality with those you want to share them with, including the ability for you to have people contribute photos and videos to the same Dropbox folder you have for that purpose. In HomeNetworking01.info, I had outlined how you can integrate your Dropbox media-pool folders with your DLNA-capable NAS and Smart TV by copying them a folder on that same NAS. The use cases I was calling out regarding Dropbox media-pool folders include special occasions such as weddings or major birthdays, the children growing up including pictures of the new baby, or memorialising a loved one who had passed away including choosing the pictures to show at their funeral. But you can have direct access to these media pools thanks to Dropbox’s first effort to target consumer-electronics devices. Here, they wrote up a native client program for the Microsoft XBox One games console. It has been achieved thanks to the ability provided by the Microsoft Universal Windows Platform to allow one to create a piece of software for a Windows 10 regular computer, a Windows 10 phone or an XBox with minimal effort to cater to that new device. What you can do is that you can view the photos and videos and play audio files in all of the folders in your Dropbox account through your large-screen TV connected to the XBox One. 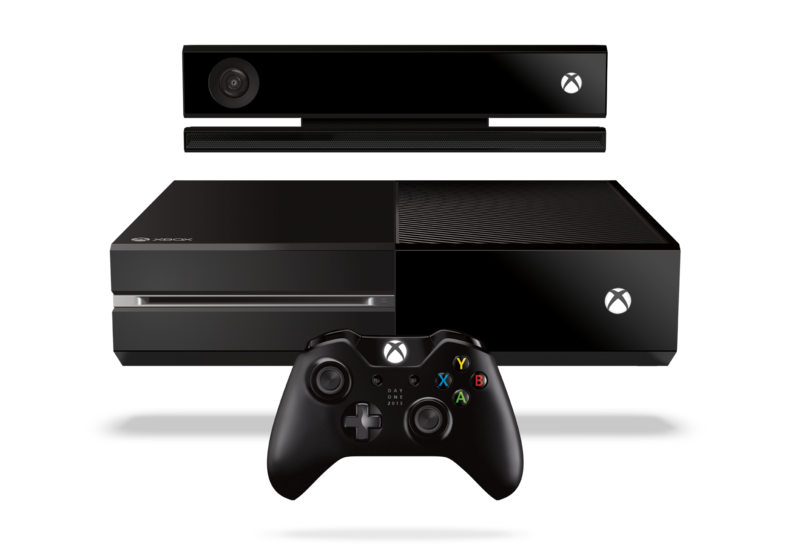 Here, you can operate its user interface using one of the XBox game controllers or the XBox Media Remote, presenting that kind of user interface expected for consumer-electronics devices such as heavy reliance on the D-pad buttons on the remote. As well, the visual interface is optimised for the 10-foot “lean-back” experience associated with the TV screen and software destined for that use case. You can also upload files from attached USB Mass-Storage devices to your Dropbox using this same client, which can come in handy when you want to deliver photos from your digital camera’s SD card to that media pool. Similarly, you can download and copy the files from your Dropbox account to an attached USB Mass-Storage device. A use case for this function would be to copy choice photos from that Dropbox media pool to a USB thumbdrive that you hand over to a digital print shop like most of the office-supply stores or camera stores so you have snapshots to put in that album or show to others; or to show in an offline environment. The ability to transfer files between your USB storage device and your Dropbox folders using the Dropbox app on the XBox One means that the largest screen in the house makes it easier to make a better call about what pictures and videos should be contributed or taken further. This is due to the fact that two or more people can see a larger image to make that better call. What Dropbox is doing with their XBox application is to prove that they can write a native front-end program for their online storage service that is relevant to consumer-electronics devices and is presented with the 10-foot “lean-back” experience. 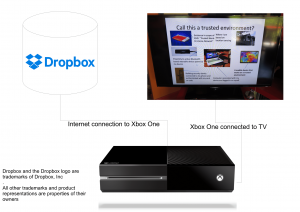 Who knows if Dropbox will develop native client software for other smart-TV, set-top box and games-console platforms to allow users to gain direct access to this online service from the biggest screens in the house. 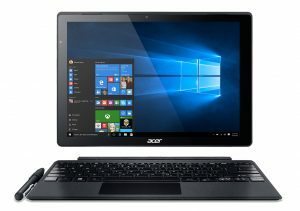 You may be pestering your boss about a new ultraportable computer for your work or perhaps your old laptop has been showing the dreaded doughnut for a bit too long and you have enough money set aside for one of the latest and greatest Ultrabooks. Dell has the latest XPS 13 Kaby Lake variant just released with a price of AUD$1899 (Intel Core i5 Kaby Lake CPU, 8Gb RAM, 128Gb SSD, Windows 10 Home) but keep an eye on the Dell website for specials where the machine may be offered cheaper. This “portable-typewriter-size” Ultrabook will have the latest Intel processor and chipset, Thunderbolt 3 / USB-C connectivity and other niceties with the ability to exploit 802.11ac Wi-Fi network segments with a strong reliable signal thanks to Rivet Killer Wireless technology. But are you sure you are getting the “best bang for the buck” once you order it from Dell? Because this Ultrabook has just been released with drivers and firmware “just out the gate”, you may find that it may not cut the mustard as expected like with equipment that has just been released. But Dell have answered this reality by issuing the latest drivers and patches for this system that have been “tuned up” to bring out the best performance from this Ultrabook. The article recommended that, as part of getting your new “toy” ready for its full-on use, you make sure it is running the latest drivers and support software for its hardware functionality. Most likely, you will spend time making sure it works with your home and/or business network and peripherals; installing the software that is important for your work and play activities; verifying you can get to your online hangouts from this new device, as well as enabling the features that are so important to you. But you would need to factor in spending time checking for newer drivers so the computer performs at its best. They may not show up on the Dell Update utility software packaged with this system as “critical” but are more likely as “recommended” downloads. You may find it more reliable to hit up the support page and download the necessary updates here. Some of the drivers listed may be about assured stability with the “expansion-module” docks that Dell has available for this system. Here, you may not think of them as being relevant for you if you didn’t purchase any of those accessories from Dell, but they can be as relevant for any adaptors or “expansion-module” docks that appear under a different brand but use the same electronics as Dell’s accessories for one or more of their functions. The same situation will also apply to whatever new computer you have purchased especially if it has just been released, whereupon you may have to use the manufacturer’s software update utility to pick out the drivers and support software for your system’s hardware. Similarly, you may have to visit the manufacturer’s support or downloads page to find the latest downloads for your computer such as to update the supplied software to newer and better standards. A similar situation had crept up when I was doing some support work for a friend of mine who had problems with his laptop not associating with his home network since he upgraded it to Windows 10. Here, it required the installation of drivers and firmware from the manufacturer’s support Website in order for it to work properly under that newer operating system and take advantage of what it had to offer. Again, you may have to use the manufacturer’s software update utility or visit their support or downloads page after you perform a major update on the computer’s operating system. The same thing can happen if your computer is equipped with a subsystem like a wireless-network chipset or audio chipset which implements software-defined behaviour. This is where the subsystem’s functionality is evolved under the command of driver and support software – newer software could improve the subsystem’s existing functionality, make the subsystem honour new standards and become more compatible, or add extra capabilities to that subsystem. One of the issues that was raised in the article was whether Dell, like the rest of the computer manufacturers, will make these drivers available through the Windows Update mechanism that Microsoft provides or not rather than having to write and furnish an update utility of their own. A reality that may be seen more is that the OEMs who supply the chipsets or other electronics that look after a particular function, such as Intel, Qualcomn or other wireless-network chipsets that are furnished with newer laptop computers, is that these OEMs may provide the updated drivers for the electronics concerned and you may find that these drivers haven’t been updated as far as the computer manufacturer is concerned. Here, if you know whom the OEM is for that chipset, something you can identify in Device Manager which will list the the extant software drivers installed on your system for its hardware. This same situation also faces desktop computers that you build or upgrade yourself or have built up by an independent computer store. Similarly, for computers that implement a recovery image for the operating system and supplied applications, you may find that updated versions of the drivers and supplied software may not make it to the recovery image. This can be annoying if you have to “strip” your computer back to ground-zero and reinstall everything during situations like rectifying faults or preparing to hand the computer over to someone else. This could be improved with the ability to amalgamate newer versions of the same software in to the recovery image. Paying attention to Windows Update, the software-update software delivered by your computer’s manufacturer or the computer manufacturer’s support / download pages can allow you to keep your computer like the Dell XPS 13 Ultrabook to the expectations that its manufacturer placed on it.